This 30 minute wheel thrown pottery introduction gets you hands-on and dirty learning wheel throwing pottery basics. (Patrick Swayze not included). You will be given 1 1/2 kilos of clay to play with. Support will be on hand as you try to get to grips with throwing a pot, thankfully not across the room but in fact pulling the clay up before opening it out. Playing with purpose. Expect a few pieces to make it into the slop bucket for recycling and one piece to make it onto the keeps board. We fire your best two pieces with the surviving pieces ready for you to glaze in 4 weeks, these will then be fired for you a second time. They will then be ready for collection. This is mainly an adult course. Children over 10 are welcome but do need to be accompanied by an adult. Please note that these 30 minute workshops run continuously from 9am until 1pm and you are welcome to book consecutive sessions for a more intense lesson. 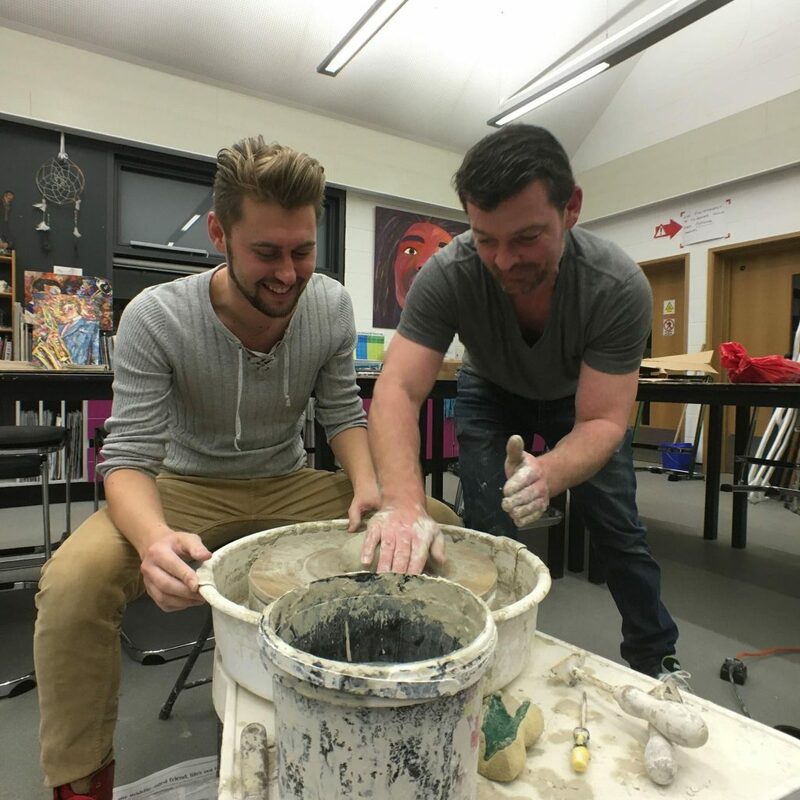 Each session costs £39 which includes 30 minutes one to one wheel work with Niall McCarthy and a return visit to the studio to glaze and decorate your piece. Both firings are also included in the price.